Last week, we saw that what Jesus wrote in the sand convicted the Pharisees and teachers of the Law of their sin. In other words, Jesus put a light on the self-righteous, condemning condition of the religious leaders and teachers of the Law. Law and Grace work together. The Law convicts; grace forgives and sets the repentant sinner free. Before conversion can take place, a person must be convicted. The Law makes us conscious of our sin. Romans 3:20: “Therefore no one will be declared righteous in His sight by observing the Law; rather through the Law we become conscious of sin.” Weirsbe in his commentary said, “nobody was ever saved by keeping the Law; but nobody was ever saved by grace who was not first indicted by the Law. There must first be conviction before there can be conversion.” The teachers of the Law and the Pharisees applied the Law to the adulteress woman, but not to themselves. Their understanding of scripture darkened them to the Truth of Jesus who was standing in front of them. Of course, there are varying degrees of darkness in all of us because our flesh nature is sinful. Therefore, all of humanity must deal with the darkness of sin by walking in the Light of Jesus Christ. Jesus will announce that He is the Light of the world after bringing the sin of the woman’s accusers to light. As the Light, Jesus is the source of Eternal, spiritual life. His Light is available to all who believe in Him. His announcement that He is the Light of the world probably took place at the time of the illumination of the temple during the Feast of Tabernacles, Jesus came to fulfill the Feasts and used the things of the earth to illustrate spiritual truths. The water pouring ceremony took place daily in the morning, but the lighting of the huge menorahs took place daily in the evening of the Feast. These four 75’ menorahs that were oil fed by four golden bowls were the light in the darkness as Jesus is the Light in the darkness of a sinful world. These menorahs illuminated the temple and rose above the walls of the temple sending forth light throughout Jerusalem piercing the darkness. The Israelites lit the earthly temple and earthly city of Jerusalem which pointed to spiritual Jesus who is the Light of the eternal temple of God and the eternal city—the New Jerusalem. (see Revelation 21:23) At the background of the lamp-lighting ceremony, Jesus says, “I am the Light of the world. Whoever follows Me will never walk in darkness, but will have the light of life.” John 8:12 The prophet Isaiah said in 9:2, “The people walking in darkness have seen a great light; on those living in the land of the shadow of death, a light has dawned.” Jesus is that Light. Israel was to be a light to the nations. God wanted a people who would be His light to the world. 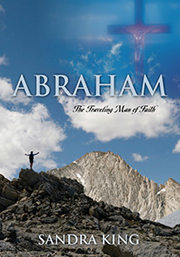 God did work through those Jews who were faithful to the task God had given them (Abraham, Isaac, Jacob, Moses, David, etc.) However, collectively, the Israelites failed to be the great light God wanted of them because of sin and rebellion against God. (see Isaiah 43:22-24) Out of His love for His people, God will do it for them by sending the Light of the world – Jesus – who will obey the Lord God perfectly. God’s love through Jesus expanded to include Gentiles. Today, God is still perfecting both Jews and Gentiles who believe in the Eternal Light of the world – Jesus – whom He wants to reflect the Light of the Father and Him to the world. “In your Light, we see light.” Psalm 56:13 The Church made up of both Jews and Gentiles are to be a light to the world. Of course, like Israel, we are an imperfect light although we should be growing in the knowledge of Jesus – the Perfect Light. He is the Light that brings us out of the darkness of sin. Jesus went to the Jew first and then to the Gentiles to fulfill this scripture in Isaiah. The shekinah glory of God was with the Israelites as their guiding light. They were to be a light to the Gentiles although an imperfect one, just as the Church is to be a light to both Jews and Gentiles although an imperfect one. Jesus is the Perfect Light who shines the Light of Truth to all who spiritually hunger and thirst for it. The more we allow the Light of Truth to take root in us by doing it, the more closely we walk as Jesus walked and the brighter His light in us shines. God calls His people from darkness to light, from error to truth and from spiritual death to spiritual life. Jesus who is the Truth and the Provider of the living water -- the Holy Spirit – is the Light of life – Eternal life. The Father sent the Son; the Son sent the Holy Spirit. “Those who fear the Lord shall rise up to eternal life, and their life shall be in the Lord’s light, and it shall never end.” Psalm 3:12 We are to be His light to the world as ambassadors of heaven. As we live in Christ by being Christ-like, believers become a city set high upon a hill shining His likeness in the darkness of the world full of sin. We become a shining light of God's glory and hope.